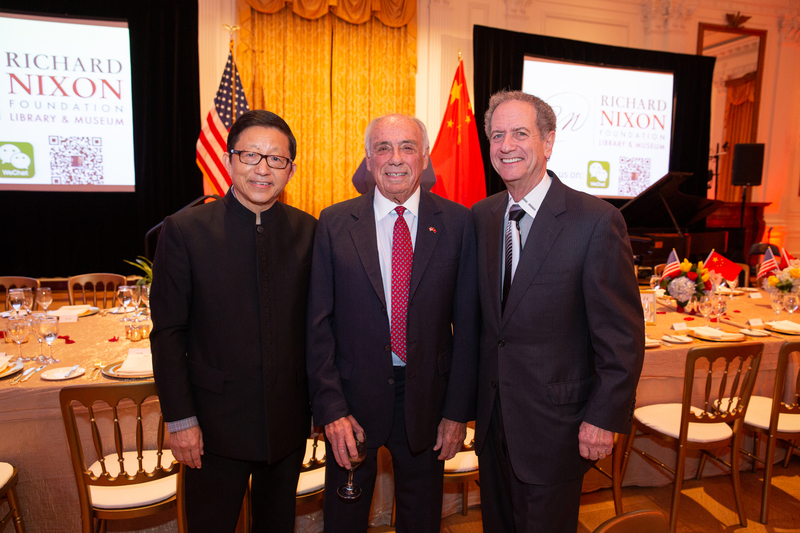 The Richard Nixon Foundation partnered with organizations across Southern California, gathering nearly 400 people in the Nixon Library’s beautiful White House East Room to commemorate 40 years of diplomatic relations between the United States and the People’s Republic of China. 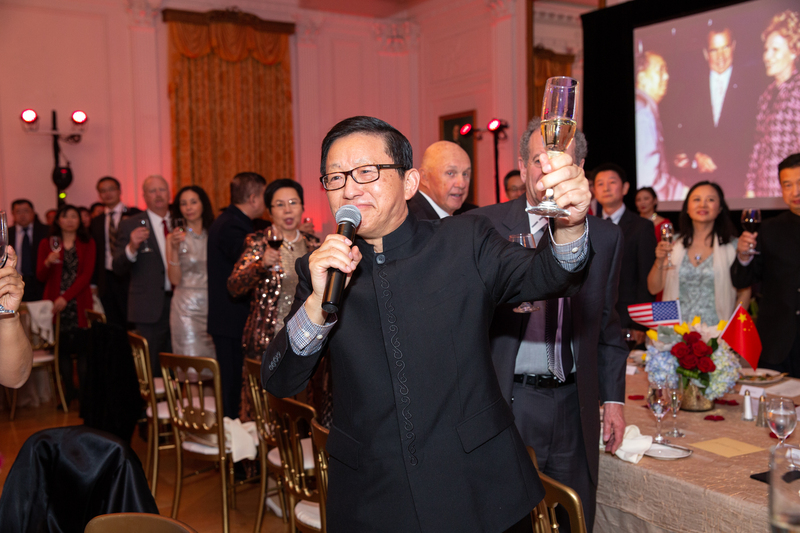 The evening — which featured a three-course, traditional American meal with traditional Chinese music — was sponsored by Ling and Charlie Zhang, founders of Pick Up Stix restaurant chain. 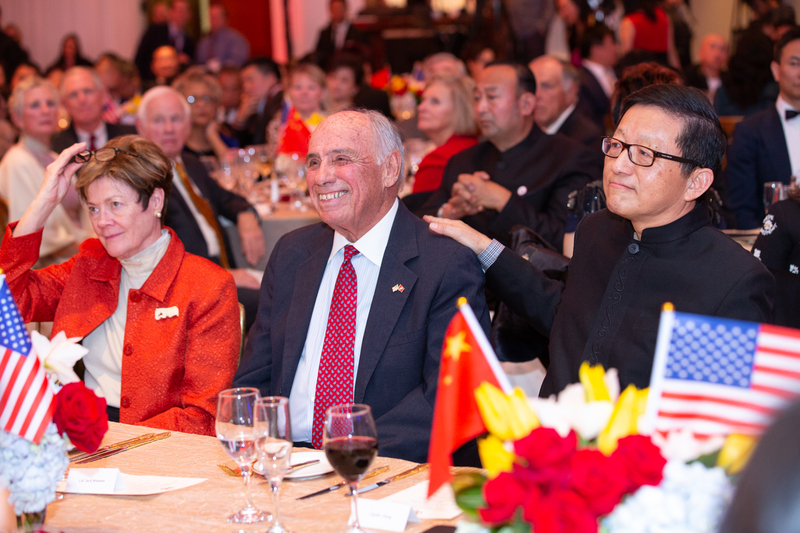 Mr. And Mrs. Zhang served as the evening’s hosts. 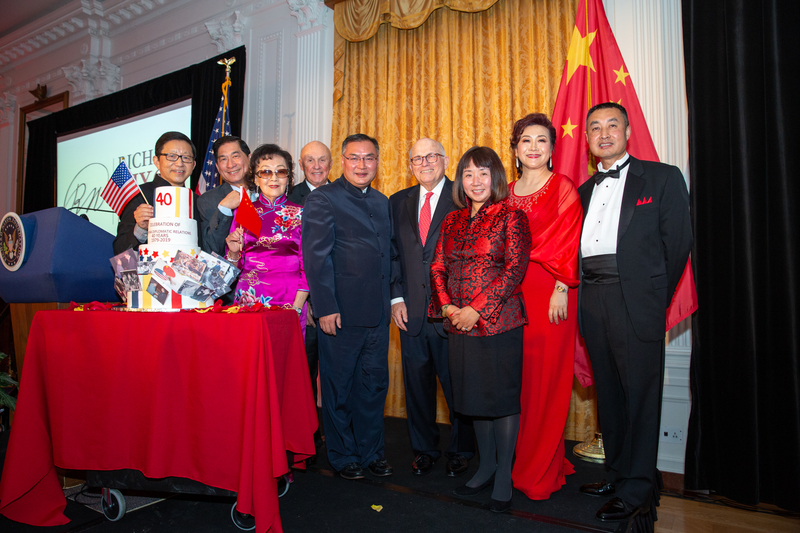 The lead co-sponsor was the Roundtable Chinese American Organization. 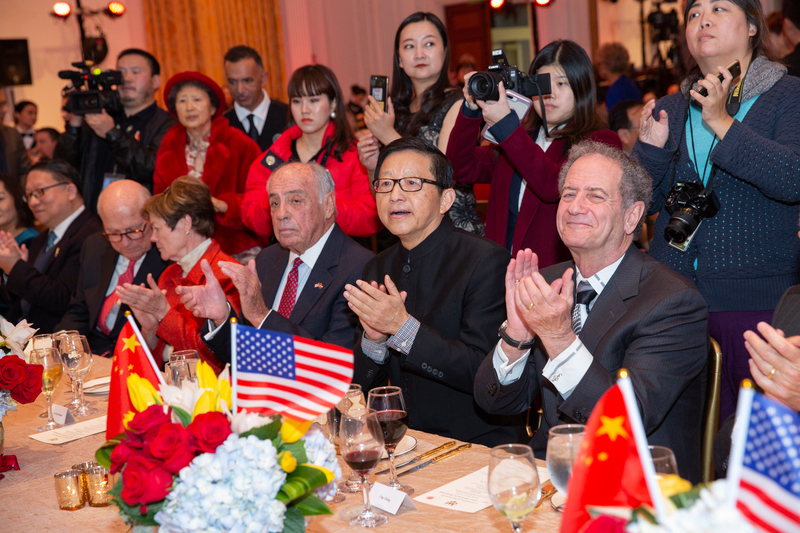 Other contributing partners included East West Bank, South Coast Plaza, the Pacific Symphony, OC Music and Dance, and Mr. and Mrs. John Gong. In 1972, President Nixon became the first U.S. president to visit the PRC. 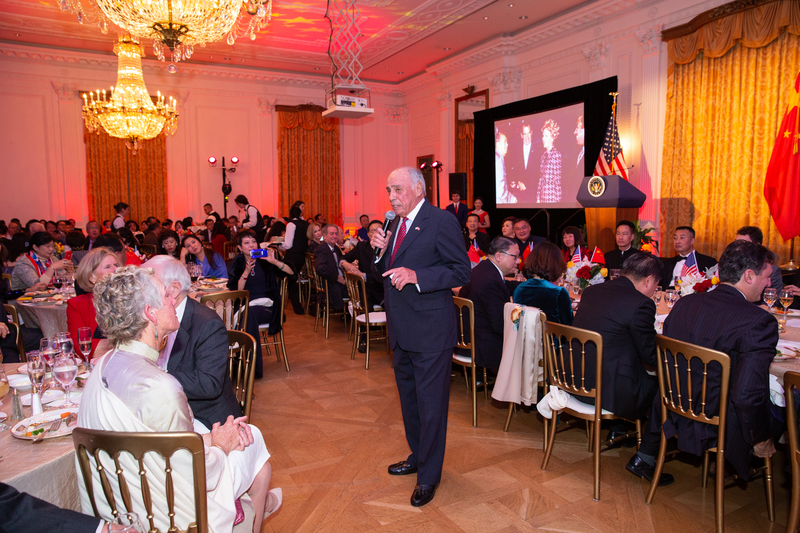 His eight-day trip brought China into the community of nations after decades of isolation. 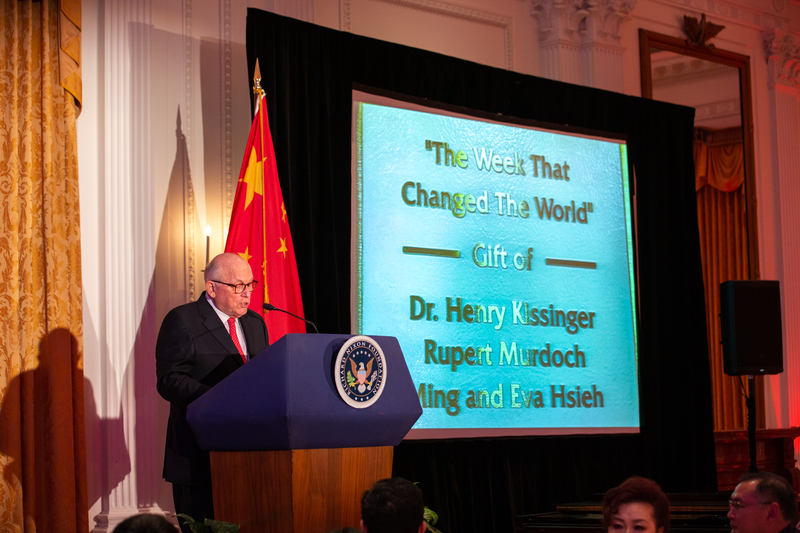 The trip’s immediate result was the reduction of tensions that had plagued the world for 25 years; relations between the two countries were normalized in 1979, and the trip’s remarkable global impact continues. 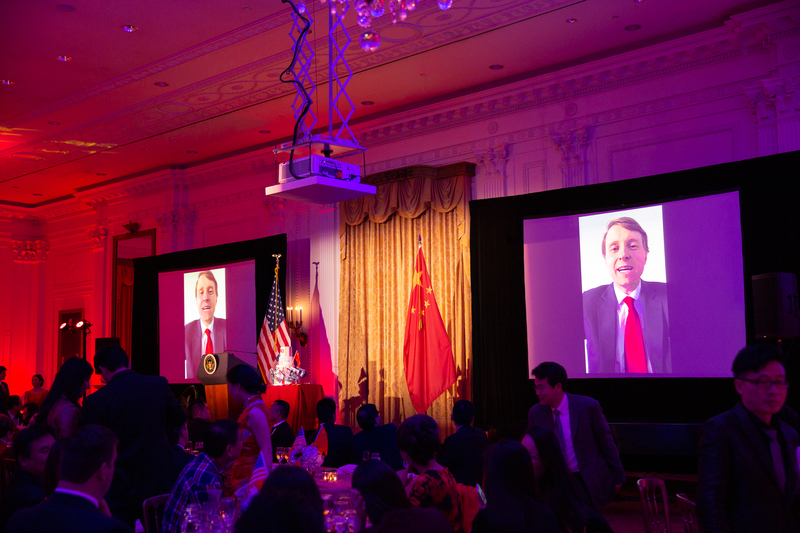 The evening’s keynote remarks were delivered via satellite video from Christopher Nixon Cox, grandson of President and Mrs. Nixon, who had just been in Beijing as a guest of the Chinese People’s Association for Friendship with Foreign Countries for the PRC’s official 40th anniversary commemorative events in the Great Hall of the People. 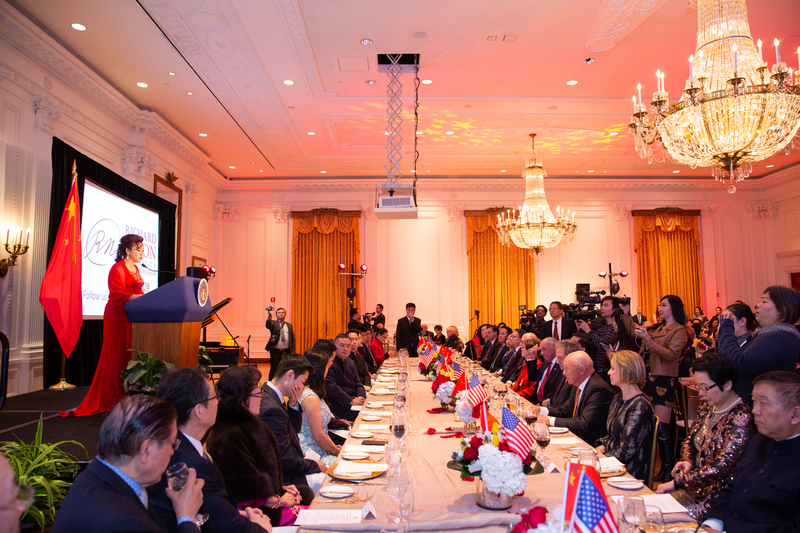 Ambassador Zhang Ping, Consul General of the People’s Republic of China in Los Angeles, spoke of the ongoing trade negotiations between the two countries, in the larger context of the institutional relationship that has developed over the last 40 years — now the most important bilateral relationship in the world. 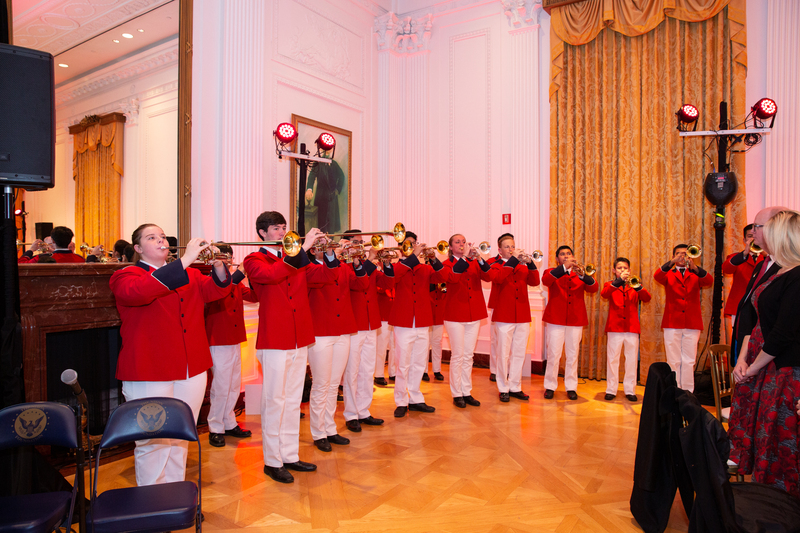 Guests were serenaded with the soothing sounds of the Pacific Symphony, conducted by Roger Kalia. 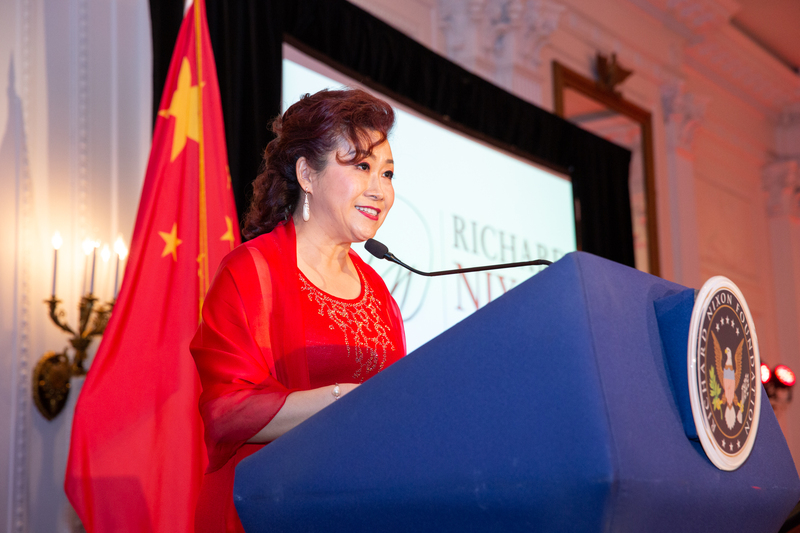 World renowned soprano Wei Feng performed solo renditions of I Love You China and America the Beautiful — with the crowd joining in. 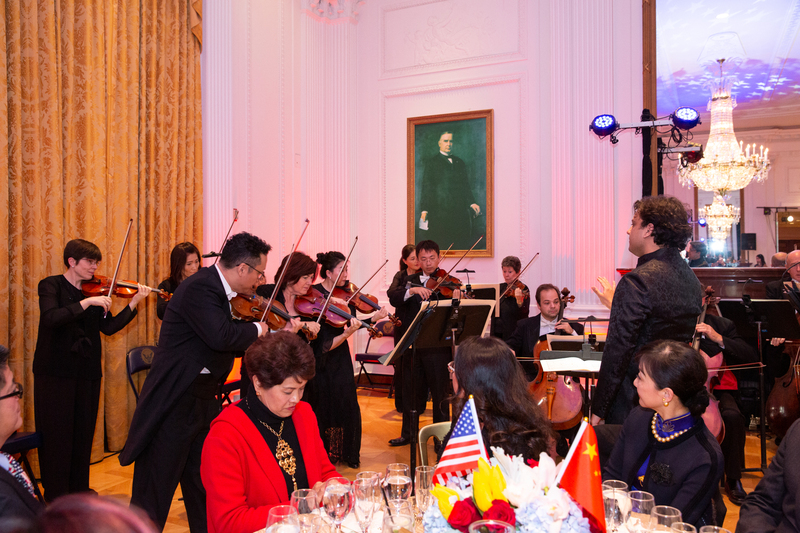 Noted pianist Bai Chao Lan performed Music at Sunset and Schumann Scenes from Childhood. 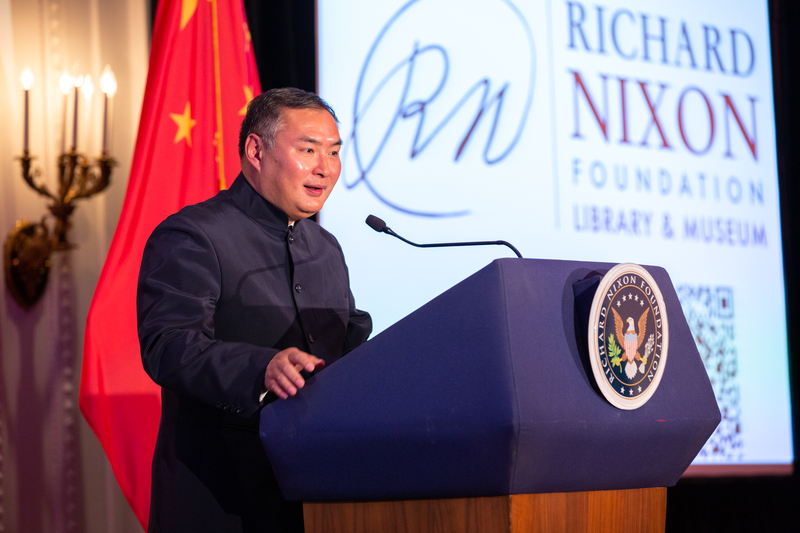 A celebratory cake —adorned with photos of President Nixon walking on the Great Wall of China and the First Lady meeting pandas at the Beijing Zoo— was cut on stage by the Consul General and two individuals present who met President Nixon in China, including entrepreneur Charles Lu, who, as a nine year old student, saw the Nixons in Shanghai on the trip in 1972 and donated the cake. 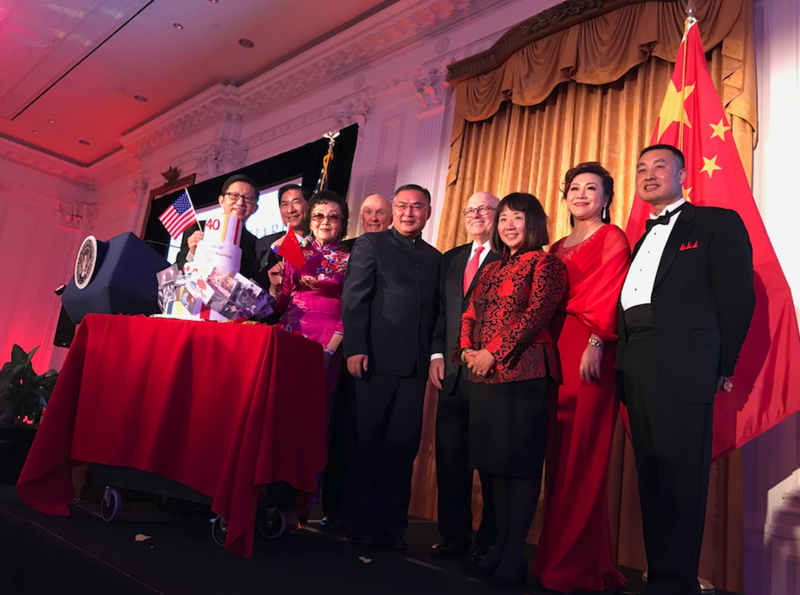 January 13, 2019 was also the 30th anniversary of Mr. Lu’s immigration to the United States.